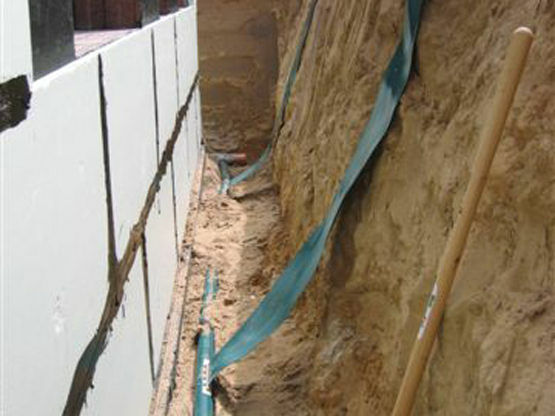 SMART DRAIN� is the perfect solution for foundation drainage. 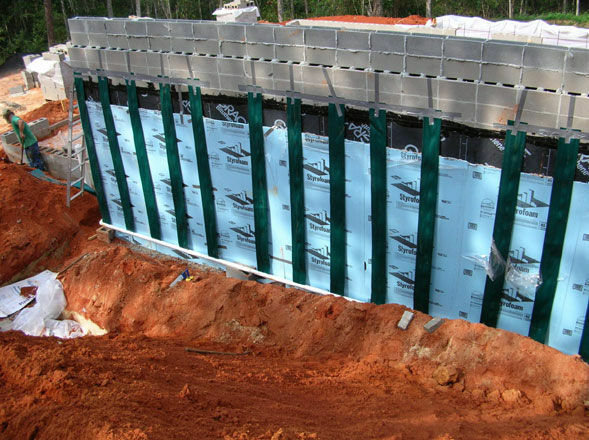 Much like its configurations for retaining walls, SMART DRAIN� is placed vertically along the foundation, to speed water away before they can cause damage and leaks. 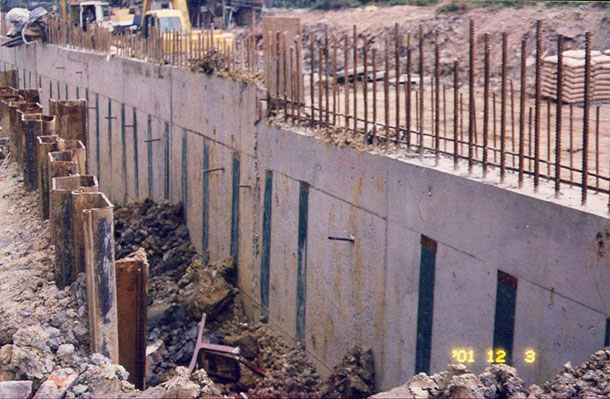 SMART DRAIN� is most efficient when placed vertically because the siphon action is at its greatest potential force, which means that all excess water around the foundation will be drained at its most efficient rate. 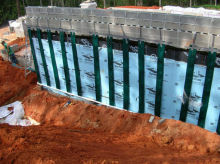 This vertical design is the fastest way to evacuate water, and SMART DRAIN� does this without geotextile fabric that is a major cause of clogging and actually slows drainage down. SMART DRAIN� , with its non-clogging capillary action micro-channels, will last and last without degrading performance. Conventional drainage systems that rely on some sort of perforated pipe design will only last a fraction of a buildings expected life. Why would you put a foundation drainage system that lasts up to ten years on a building meant to last for a hundred? SMART DRAIN� will far outlast any conventional drainage system while draining excess water more efficiently. 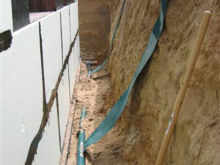 Call us today and talk to our drainage engineers to see how Smart Drain can enhance your foundation drainage project. Additionally, SMART DRAIN� belt can now be coupled with, or without, SMART DRAIN� wrapped pipe for the ultimate in foundation drainage. The vertical belts whisk excess water away quickly, while the wrapped pipe will constantly drain the water that collects down at the bottom of you footer.